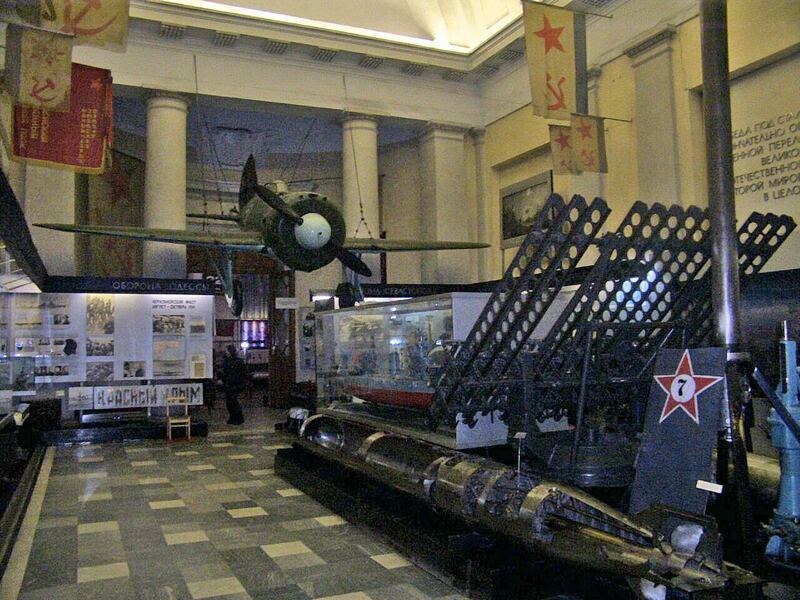 Although the current Russian naval facilities are further west, notably at Kronstadt, Peter the Great’s original dockyard was on the River Neva, and both the Russian naval museum and other significant buildings remain in the city. Photos taken by David Davies in 2002-2003. 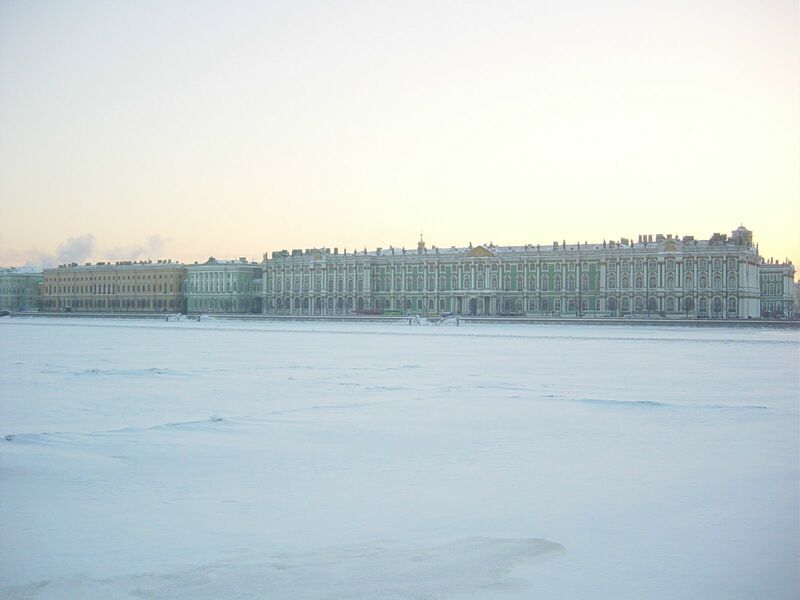 Hermitage Museum (formerly the Winter Palace). Image by J. D. Davies. 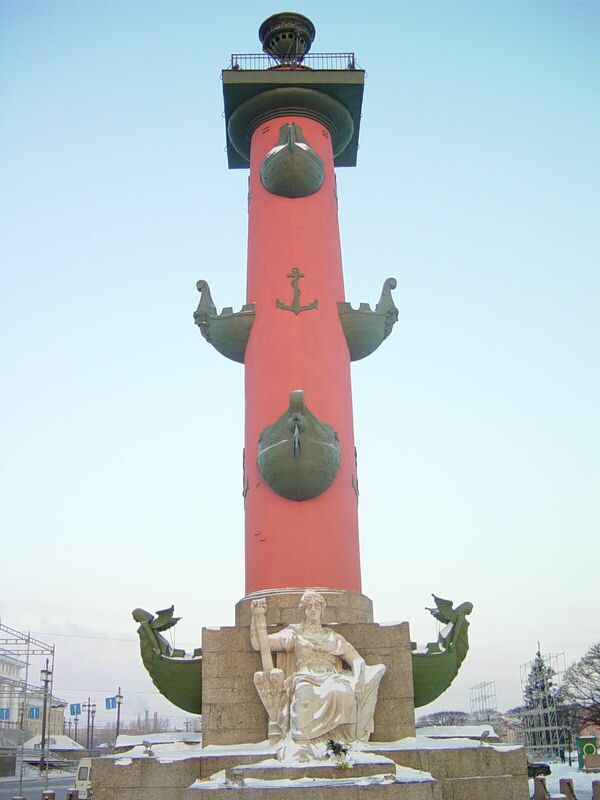 One of the Rostral Columns outside the naval museum, St Petersburg, originally built mid-C18 as beacons for ships using the port. Image by J. D. Davies. 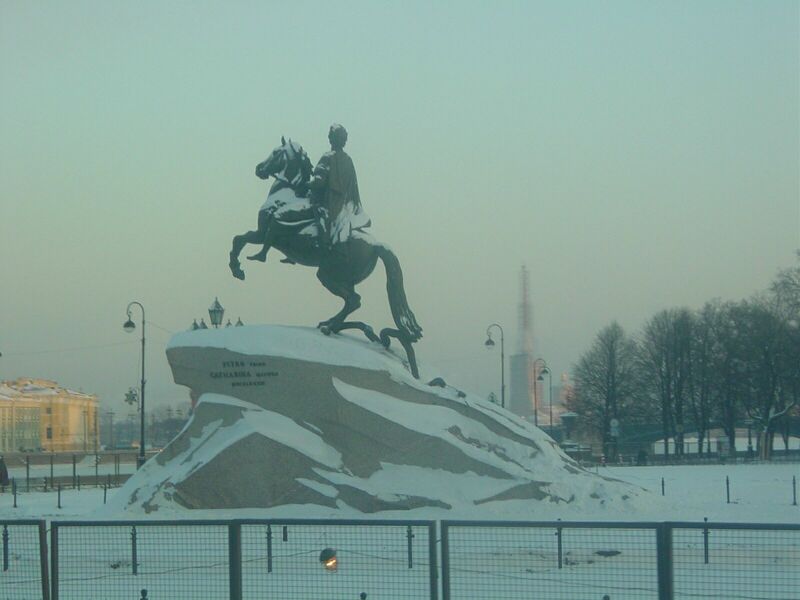 Equestrian statue of Tsar Peter III. Image by J. D. Davies. 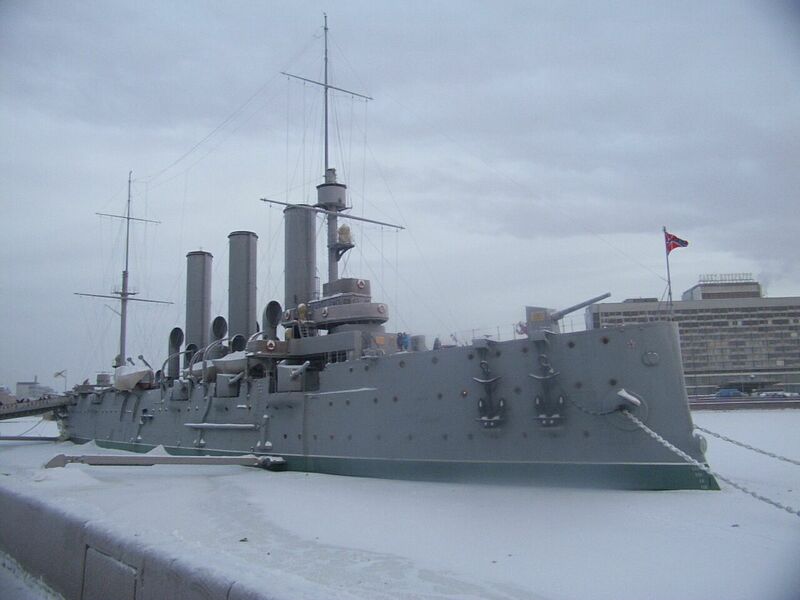 Preserved cruiser Aurora, built 1897–1900, which played a crucial part in the October Revolution 1917. Image by J. D. Davies. Admiralty building, St Petersburg, built 1806–23. Image by J. D. Davies.